Völva, (The Prophetess’s Prediction) is a form of electronic theatrical sorcery, in which the mysterious predictions of the Völuspá are communicated in a new and interactive way. The actress, a manifestation of the Völva (prophetess), controls the action through a wearable electronic medium that is the Völva’s magic device. 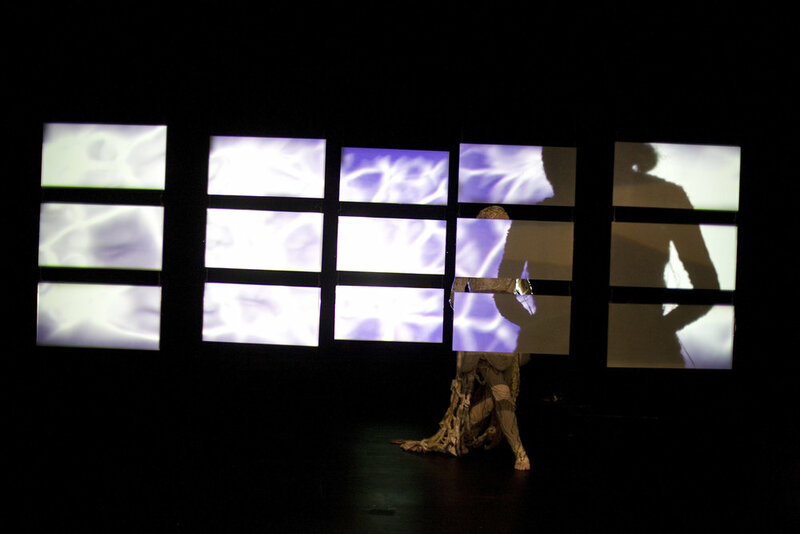 Völuspá is a progressive play of merging mediums that creates a new dimension within the theatrical landscape. It is based on the traditional Völuspá that has been re-written by poet Þórarinn Eldjárn. Völuspá is a component of the Prose Edda, poems verbally passed on until the 13th century. Völuspá is an ode to the world’s creation, as well as its end in Ragnarök, “the fate of the gods”. Völva is a co-production between the National Theatre and Pálína frá Grund.